Transparency in a Salt Lake TAR Pit? A Salt Lake City Court braved the TAR pits to decide a “transparency” issue. Entrata, Inc. v. Yardi Systems, Inc., Case No. 2:15-cv-00102 (D.C. Utah, 10/29/18). The results were predictable for TAR, which is usually dark. The requesting party tried to compel the respondent to explain their TAR. Tried to force them to disclose the hidden metrics of Recall and Richness. The motion was too little, too late and was denied. The TAR pits of Entrata remain dark. Maybe TAR was done well, maybe not. For all we know the TAR was done by Sponge Bob Square Pants using Bikini Bottom software. We may never know. Due to the Sponge Bobby type motion leading to an inevitable denial, the requesting party, Yardi Systems, Inc., remains in dark TAR. Yardi still does not know whether the respondent, Entrata,Inc., used active machine learning? Maybe they used a new kind of Bikini Bottom software nobody has ever heard of? Maybe they used KL’s latest software? Or Catalyst? Maybe they did keyword search and passive analytics and never used machine training at all? Maybe they threw darts for search and used Adobe for review? Maybe they ran a series of random and judgmental samples for quality control and assurance? Maybe the results were good? Maybe not? The review by Entrata could have been a very well managed project. It could have had many built-in quality control activities. It could have been an exemplar of Hybrid Multimodal Predictive Coding 4.0. You know, the method we perfected at NIST’s TREC Total Recall Track? The one that uses the more advanced IST, instead of simple CAL? I am proud to talk about these methods all day and how it worked out on particular projects. The whole procedure is transparent, even though disclosure of all metrics and tests is not. These measurements are anyway secondary to method. Yardi’s motion to compel disclosure should not have been so focused on a recall and richness number. It should instead of focused on methods. The e-Discovery Team methods are spelled out in detail in the TAR Course. Maybe that is what Entrata followed? Probably not. Maybe, God forbid, Entrata used random driven CAL? Maybe the TAR was a classic Sponge Bob Square Pants production of shame and failure? Now Yardi will never know. Or will they? About the only way the requesting party, Yardi, can possibly get TAR disclosure in this case now is by proving the review and production made by Entrata was negligent, or worse, done in bad faith. That is a difficult burden. The requesting party has to hope they find serious omissions in the production to try to justify disclosure of method and metrics. (At the time of this order production by Entrata had not been made.) If expected evidence is missing, then this may suggest a record cleansing, or it may prove that nothing like that ever happened. Careful investigation is often required to know the difference between a non-existent unicorn and a rare, hard to find albino. Remember, the producing party here, the one deep in the secret TAR, was Entrata, Inc. They are Yardi Systems, Inc. rival software company and defendant in this case. This is a bitter case with history. It is hard for attorneys not to get involved in a grudge match like this. Looks like strong feelings on both sides with a plentiful supply of distrust. Yardi is, I suspect, highly motivated to try to find a hole in the ESI produced, one that suggests negligent search, or worse, intentional withholding by the responding party, Entrata, Inc. At this point, after the motion to compel TAR method was denied, that is about the only way that Yardi might get a second chance to discover the technical details needed to evaluate Entrata’s TAR. The key question driven by Rule 26(g) is whether reasonable efforts were made. Was Entrata’s TAR terrible or terrific? Yardi may never know. What about Yardi’s discovery? Do they have clean hands? Did Yardi do as good a job at ESI search as Entrata? (Assuing that Yardi used TAR too.) How good was Yardi’s TAR? (Had to ask that!) Was Yardi’s TAR as tardy as its motion? What were the metrics of Yardi’s TAR? Was it dark too? The opinion does not say what Yardi did for its document productions. To me that matters a lot. Cooperation is a mutual process. It is not capitulation. The same goes for disclosure. Do not come to me demanding disclosure but refusing to reciprocate. How to Evaluate a Responding Party’s TAR? Back to the TAR at issue. Was Entrata’s TAR riddled with errors? Did they oppose Yardi’s motion because they did a bad job? Was this whole project a disaster? Did Entrata know they had driven into a TAR pit? Who was the vendor? What software was used? Did it have active machine learning features? How were they used? Who was in charge of the TAR? What were their qualifications? Who did the hands-on review? What problems did they run into? How were these problems addressed? Did the client assist? Did the SMEs? Perhaps the TAR was sleek and speedy and produced the kind of great results that many of us expect from active machine learning. Did sampling suggest low recall? Or high recall? How was the precision? How did this change over the rounds of training. The machine training was continuous, correct? The “seed-set nonsense” was not used, was it? You did not rely on a control set to measure results, did you? You accounted for natural concept drift, didn’t you, where the understanding of relevance changes over the course of the review? Did you use ei-Recall statistical sampling at the end of the project to test your work? Was a “Zero Error” policy followed for the omission of Highly Relevant documents as I recommend?. Are corrective supplemental searches now necessary to try to find missing evidence that is important to the outcome of the case? Do we need to force them to use an expert? 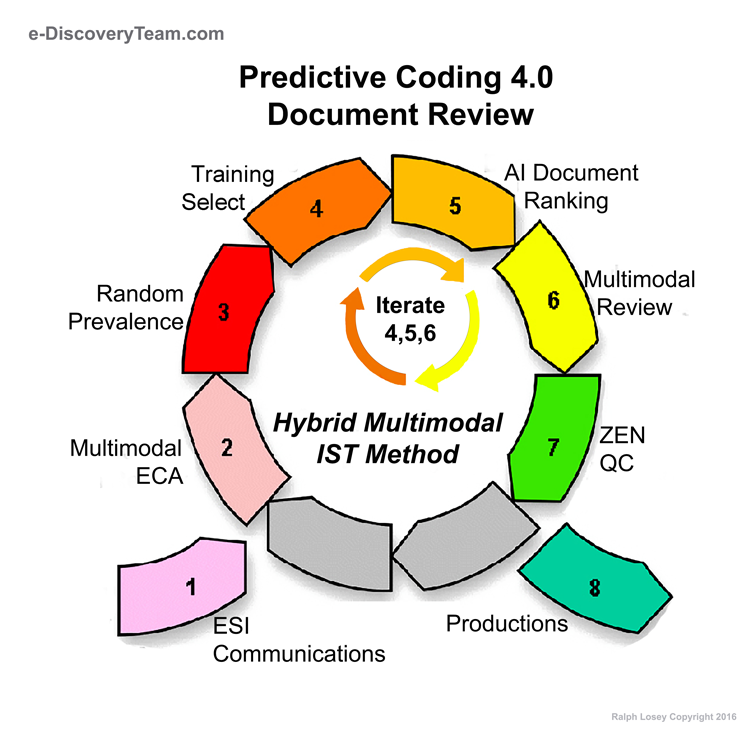 Require that they use the state of the art standard, the e-Discovery Team’s Predictive Coding 4.0 Hybrid Multimodal IST? Yardi’s motion was weak and tardy so Entrata, Inc. could defend its process simply by keeping it secret. This is the work-product defense approach. This is NOT how I would have defended a TAR process. Or rather, not the only way. I would have objected to interference, but also made controlled, limited disclosures. I would have been happy, even proud to show what state of the art search looks like. I would introduce our review team, including our experts, and provide an overview of the methods, the work-flow. I would also have demanded reciprocal disclosures. What method, what system did you use? TAR is an amazing technology, if used correctly. If used improperly, TAR can be a piece of junk. How did the Subject Matter Experts in this case control the review? Train the machine? Is that a scary ghost in the machine or just a bad SMI? How did Entrata do it? How for that matter did the requesting party, Yardi, do it? Did it use TAR as part of its document search? Is Yardi proud of its TAR? Or is Yardi’s TAR as dark and hardy har har as Entrata’s TAR. Are all the attorneys and techs walking around with their heads down and minds spinning with secret doc review failures? e-Discovery Team reviews routinely exceed minimal reasonable efforts; we set the standards of excellence. I would have made reasonable reassurances by disclosure of method. That builds trust. I would have pointed them to the TAR Course and the 4.0 methods. I would have sent them the below eight-step work-flow diagram. I would have told then that we follow these eight steps or if any deviations were expected, explained why. I would have invited opposing counsel to participate in the process with any suggested keywords, hot documents to use to train. I would even allow them to submit model fictitious training documents. Let them create fake documents to help us to find any real ones that might be like it, no matter what specific words are used. We are not trying to hide anything. We are trying to find all relevant documents. All relevant documents will be produced, good or bad. Repeat that often. Trust is everything. You can never attain real cooperation without it. Trust but verify. And clarify by talk. Talk to your team, your client, witnesses, opposing counsel and the judge. That is always the first step. Of course, I would not spend unlimited time going over everything. I dislike meetings and talking to people who have little or no idea what I am saying. Get your own expert. Do the work. These big document review projects often go on for weeks and you could waste and spend a small fortune with too much interaction and disclosures. I don’t want people looking over my shoulder and I don’t want to reveal all of my tricks and work-product secrets, just the general stuff you could get by study of my books. I would have drawn some kind of line of secrecy in the sand, hopefully not quicksand, so that our disclosures were reasonable and not over-burdensome. In Entrata the TAR masters doing the search did not want reveal much of anything. They were very distrustful of Yardi and perhaps sensed a trap. More on that later. Or maybe Entrata did have something to hide? How do we get at the truth of this question without looking at all of the documents ourselves? That is very difficult, but one way to get at the truth is to look at the search methods used, the project metadata. The dark TAR defense worked for Entrata, but do not count on it working in your case. The requesting party might not be tardy like Yardi. They might make a far better argument. The well-written opinion in Entrata, Inc. v. Yardi Systems, Inc., (D.C. Utah, 10/29/18) was by United States District Judge Clark Waddoups. Many other judges have gone over this transparency issue before and Judge Waddoups has a good summary of the ones cited to him by the moving party. I remember tackling these transparency issues with Judge Andrew Peck in Da Silva Moore v. Publicis Groupe, 287 F.R.D. 182 (S.D.N.Y. 2012), which is one of the cases that Judge Waddoups cites. At that time, 2012, there was no precedent even allowing Predictive Coding, much less discussing details of its use, including disclosure best-practices. We made strong efforts of cooperation on the transparency issues after Judge Peck approved predictive coding. Judge Peck was an expert in TAR and very involved in the process. That kind of cooperation that can be encouraged by a very active judge did not happen in Entrata. The cooperative process failed. That led to a late motion by the Plaintiff to force disclosure of the TAR. The plaintiff, Yardi Systems, Inc, is the party who requested ESI from defendants in this software infringement case. It wanted to know how the defendant was using TAR to respond to their request. Plaintiff’s motion to compel focused on disclosure of the statistical analysis of the results, Recall and Prevalence (aka Richness). That was another mistake. Statistics alone can be meaningless and misleading, especially if range is not considered, including the binomial adjustment for low prevalence. This is explained and covered by my ei-Recall test. Introducing “ei-Recall” – A New Gold Standard for Recall Calculations in Legal Search – Part One, Part Two and Part Three (e-Discovery Team, 2015). Also see: In Legal Search Exact Recall Can Never Be Known. Disclosure of the whole process, the big picture, is the best Defense Of Process evidence, not just a couple of random sample test results. Looks like the requesting party here might have just been seeking “gotcha material” by focusing so much on the recall numbers. That may be another unstated reason both the Magistrate and District Court Judges denied their late request for disclosure. That could why the attorneys for Entrata kept their TAR dark, even though they were not negligent or in bad faith. Maybe they were proud of their efforts, but were tired of bad faith hassling by the requesting party. Hard to know based on this opinion alone. Judge Waddoups had no choice but to deny a motion like this filed under these procedures. Here is a key paragraph explaining his reasoning for denial. The Federal Rules of Civil Procedure assume cooperation in discovery. Here, the parties never reached an agreement regarding search methodology. In the court’s view, the lack of any agreement regarding search methodology is a failure on the part of both parties. Nevertheless, Yardi knew, as early as May of 2017, that Entrata intended to use TAR. (See ECF No. 257-1 at 2.) The Magistrate Court’s September 20, 2017 Order stated, in part, that “[i]f the parties are unable to agree on . . . search methodology within 30 days of the entry of this Order, the parties will submit competing proposals . . . .” (ECF No. 124 at 2.) Yardi, as early as October 2, 2017, knew that “Entrata [was] refus[ing] to provide” “TAR statistics.” (See ECF No. 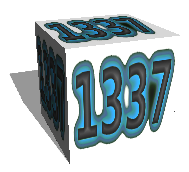 134 at 3.) In other words, Yardi knew that the parties had not reached an agreement regarding search methodology well before the thirty day window closed. Because Yardi knew that the parties had not reached an agreement on search methodology, it should have filed a proposal with the Magistrate Court. This would have almost certainly aided in resolving this dispute long before it escalated. But neither party filed any proposal with the Magistrate Court within 30 days of entry of its Order. Yardi has not pointed to any Federal Rule of Civil Procedure demonstrating that the Magistrate Court’s Order was contrary to law. This court rejects Yardi’s argument relating to the Federal Rules of Civil Procedure. The requesting party in Entrata did not meet the high burden needed to reverse a magistrate,s discovery ruling as clearly erroneous and contrary to law. If you are ever going to win on a motion like this, it will likely be on a Magistrate level. Seeking to overturn a denial and meet this burden to reverse is extremely difficult, perhaps impossible in cases seeking to compel TAR disclosure. The whole point is that there is no clear law on the topic yet. We are asking judges to make new law, to establish new standards of transparency. You must be open and honest to attain this kind of new legal precedent. You must use great care to be accurate in any representations of Fact or Law made to a court. Tell them it is a case of first impression when the precedent is not on point as was the situation in Entrata, Inc. v. Yardi Systems, Inc., Case No. 2:15-cv-00102 (D.C. Utah, 10/29/18). Tell them the good and the bad. There was never a perfect case and there always has to be a first for anything. Legal precedent moves slowly, but it moves continuously. 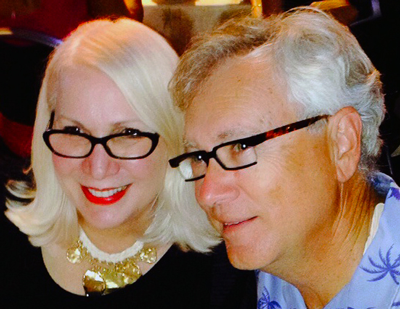 It is our job as practicing attorneys to try to guide that change. The requesting party seeking disclosure of TAR methods in Entrata doomed their argument by case law misstatements and in-actions. They might have succeeded by making full disclosures themselves, both of the law and their own TAR. The focus of their argument should be on the benefits of doing TAR right and the dangers of doing it wrong. They should have talked more about what TAR – Technology Assisted Review – really means. They should have stressed cooperation and reciprocity. To make new precedent in this area you must first recognize and explain away a number of opposing principles, including especially The Sedona Conference Principle Six. That says responding parties always know best and requesting parties should stay out of their document reviews. I have written about this Principle and why it should be updated. Losey, Protecting the Fourteen Crown Jewels of the Sedona Conference in the Third Revision of its Principles (e-Discovery Team, 2//2/17). The Sedona Principle Six argument is just one of many successful defenses that can be used to protect against forced TAR disclosure. There are also good arguments based on the irrelevance of this search information to claims or defenses under Rule 26(b)(2) and under work-product confidentiality protection. Any party who would like to force another to make TAR disclosure should make such voluntary disclosures themselves. Walk your talk to gain credibility. The disclosure argument will only succeed, at least for the first time (the all -important test case), in the context of proportional cooperation. An extended 26(f) conference is a good setting and time. Work-product confidentiality issues should be raised in the first days of discovery, not the last day. Timing is critical. The 26(f) discovery conference dialogue should be directed towards creating a uniform plan for both sides. This means the TAR disclosures should be reciprocal. The ideal test case to make this law would be a situation where the issue is decided early at a Rule 16(b) hearing. It would involve a situation where one side is willing to disclose, but the other is not, or where the scope of disclosures is disputed. At the 16(b) hearing, which usually takes place in the first three months, the judge is supposed to consider the parties’ Rule 26(f) report and address any discovery issues raised, such as TAR method and disclosures. The first time disclosure is forced by a judge it will almost certainly be a mutual obligation. Each side should will be required to assume the same disclosure obligations. This could include a requirement for statistical sampling and disclosure of certain basic metrics such as Recall range, Prevalence and Precision? Sampling tests like this can be run no matter what search method is used, even little old keyword search. It is near impossible to come into court when both sides have extensive ESI and demand that your opponent do something that you yourself refuse to do. If you expect to be able to force someone to use TAR, or to disclose basic TAR methods and metrics, then you had better be willing to do that yourself. If you are going to try to force someone to disclose work-product protected information, such as an attorney’s quality control tests for Recall range in document review, then you had better make such a limited waiver yourself.